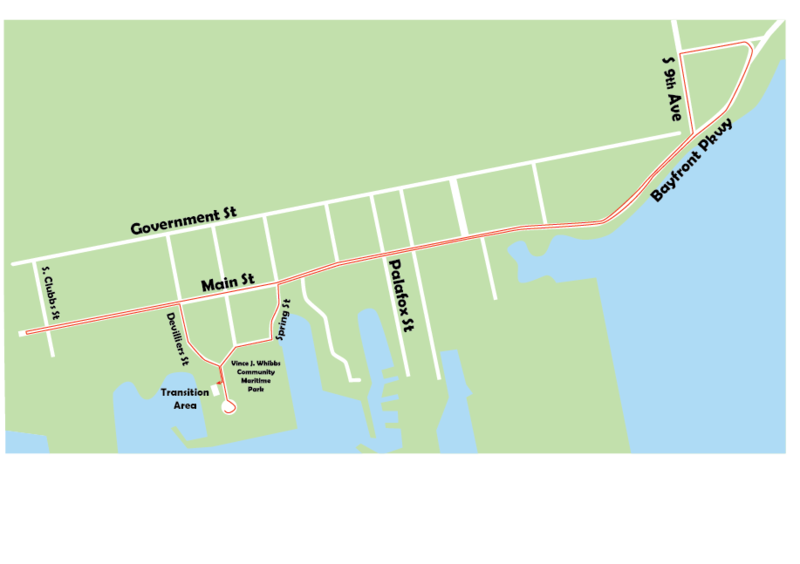 The 3 mile bike course will take athletes out of the park and they will make a right on Main Street (east), which turns into Bayfront Parkway. They will go around the Veterans Park and then head west back onto Main Street. Athletes will pass the Community Park and go roughly .25 miles before turning around and head back to the park. Last turn will be a right turn onto Devillers Street and back to transition. This course is a 100% closed course to all vehicular traffic.